ON THE MORNING OF AUGUST 19, 1983, sleepy residents of the sister cities of Clifton and Morenci in southeastern Arizona awoke to a strange pulsation: a miles-long convoy of armored tanks, vehicles, and Huey helicopters, fully equipped with armed soldiers and SWAT teams, making its way up the mountain road to its new front line: the gates of the company facilities. The drama unleashed by Arizona governor Bruce Babbitt to quash the Phelps Dodge copper strike at the Morenci mine was impressive even when the century-long struggle by workers to achieve better working conditions in Arizona’s copper industry is considered. Writing about these events over thirty-four years later is challenging enough without writing about a personally tumultuous time for many, risking reopening many wounds. The strike virtually ripped families apart, mine included, having one brother on strike and another a strikebreaker. The scars left by the emotional wounds still haunt many today. The strike was also economically catastrophic. It is unpleasant to remember, yet I harbor some pride in doing so that I, too, like many striking families, suffered the indignity of being caught without enough money to buy a gallon of milk, and to suspect that it would only be a matter of time before economic necessity would uproot us from the life we knew to face uncertainties elsewhere. I am certain that among many striking families were children who could not understand their parents’ decision to participate in the strike, denying them stability and security. Arizona’s history is inextricably linked to copper mining, and mining is inextricably linked to the state’s geography and the geology of copper-ore deposits. There is no shortage of scholarship on this history. Early period mining was done on an individual basis, usually by prospectors who searched for surface mineral outcroppings, where they could be assured a high return for a low investment of time and money and little technology. In these early cases, the mine worker was likely to also be the mine owner. As bonanza–type vein deposits became depleted, mining became more capital and labor intensive. Together with the lack of technology to make extraction of copper deposits more efficient, the self-financing of mining operations by individuals became less profitable over time. The Industrial Revolution stands out as a turning point in terms of the scale of production in the copper mining industry. The growing demand for copper followed the expansion of telegraph communication and, later, the electrical power needs of American industries and households. In turn, these would drive the technological innovations that would make the extraction of copper from low-grade ore possible and profitable. New ways of organizing production for greater efficiency also paved the way for how copper-producing companies would consolidate their power in the modern era. Wealthy European and East Coast investors began to buy out the small claims of individual prospectors. It is in this way that Arizona copper mining companies, such as the Phelps Dodge Corporation, came to control the natural resources needed for production (land, timber, and water) and, ultimately, amass great power and wealth. By the 1920s six companies were producing 56 percent of all the copper being produced in Arizona. To be sure, the geographic isolation of most mining operations provided both disadvantages and advantages. The sister cities of Clifton and Morenci are geographically isolated in the rugged mountainous area of eastern Arizona, about 115 miles northeast from the nearest metropolitan city, Tucson, Arizona. With the lack of a diversified economic base that large population centers provide, the livelihood of families in these two small towns were largely dependent on the mine, as they continue to be today. Moreover, the skills acquired in mining production are not those that are easily transferred to other economic sectors. With greater consolidation and vertical integration, companies such as Phelps Dodge were able to exert greater control of its workers. Arizona’s copper companies maintained their control of operations in several ways. They exerted power over labor directly, using intimidation, threats, and physical force and violence against workers to exploit them as much as possible. A famous example from history comes from the 1917 Bisbee Deportation, where Phelps Dodge, with the help of local law enforcement agents, rounded up presumed strikers and strike organizers and “deported” them to a remote location near Columbus, New Mexico. However, copper companies in Arizona also exerted their power indirectly, such as by influencing politicians and lawmakers to pass laws that were favorable to the industry. Such laws allowed companies to exploit natural resources and undermine competitors and unions. Consequently, Arizona’s history is also pockmarked by acts of resistance by workers against mining companies, which many times resulted in turbulent labor strikes. In addition, while not all the striking miners were Mexican, Mexican laborers made up the largest percentage of the workforce. Several of these disputes are historically notable. In 1903 Mexican miners instigated a strike in Clifton over wage discrepancy. Benton-Cohen notes that this strike was primarily organized by Mexican workers. In 1906 a strike in the Mexican town of Cananea was primarily directed at the American-owned Green Copper Company. The strike deserves mention because although it was on Mexican territory, the workers were both American and Mexican, and it was quelled by the use of armed Arizona Rangers, who entered Mexico in support of an American mining operation. During World War I, a series of strikes were organized in mining towns across Arizona (Clifton, Morenci, Ray, Globe, Miami, Jerome, and Bisbee), targeting the most wealthy and powerful companies in Arizona, including Phelps Dodge. During this time, workers had been drawn ideologically and politically to the Industrial Workers of the World (IWW; also known as the Wobblies). A mine strike in Jerome organized by the IWW in May 1917 ended with strikers and union organizers, accused of being foreigners and subversives, being rounded up by armed agents of the mine owners and shipped by railroad cattle cars to Kingman, after being threatened with death if they returned to Jerome. Similar events took place in Bisbee, Arizona, in 1917. During this rash of strikes across Arizona, copper companies were riding the wave of patriotism of the time and were able to violently suppress strikes with impunity. American labor leader Frank Little was lynched during this time. Violations of basic workers’ rights were so egregious that President Woodrow Wilson ordered an investigation of Arizona’s copper companies. Consistent with this history, Chicago attorney Jonathan Rosenblum’s analysis of the 1983 copper strike demonstrates its national implications. In 1983 Phelps Dodge became a case study for defeating “union power buildup.” Ten years before the strike, Wharton School professor Herbert Northrup had developed a playbook, Operating during Strikes, containing strategies, which, if followed, were predicted to undermine strike actions. These included the contracting of tour buses to transport scabs to worksites en masse, reimbursing strikebreakers for any extra costs associated with strike activity, threatening strikers with the loss of their jobs with outside replacements, permanently replacing striking workers with nonunion workers, and cutting off medical benefits to strikers. All of these strategies were implemented in the 1983 strike. Scabs were bussed in from outside of Clifton and Morenci. Medical benefits were cut off. Letters were sent to strikers, threatening them that they would lose their jobs if they did not return to work at once. An open letter to John Bolles, manager of Phelps Dodge operations in Morenci, published in the Copper Era in July 1983, was written by an infuriated striker, Paul M. López, who accused Bolles and the company of “scare tactics” and intimidation to get strikers to cross the picket line. Following the Wharton playbook, the cost to implement the tactics was irrelevant. Rosenblum reports that the company lost $100 million in operations and claimed another $100 million in write-offs in 1984. Stockholders lost $220 million, or $92,000 per striker, demonstrating that Phelps Dodge’s refusal to settle with the thirteen striking unions went beyond efforts to save on the cost of wages. Even so, nothing was left to chance. Phelps Dodge also had the support of the state. Undercover agents with the Arizona State Criminal Intelligence Systems Agency (ACISA) infiltrated every union in the Clifton and Morenci mining district early in the strike, bugging nearly one out of every two meetings and monitoring the rest with informers. The history of Arizona’s copper mining industry is in this way a story of the collective efforts of workers, equipped only with time-tested ideologies and cultural practices designed to fulfill obligations to each other, resisted against all odds. 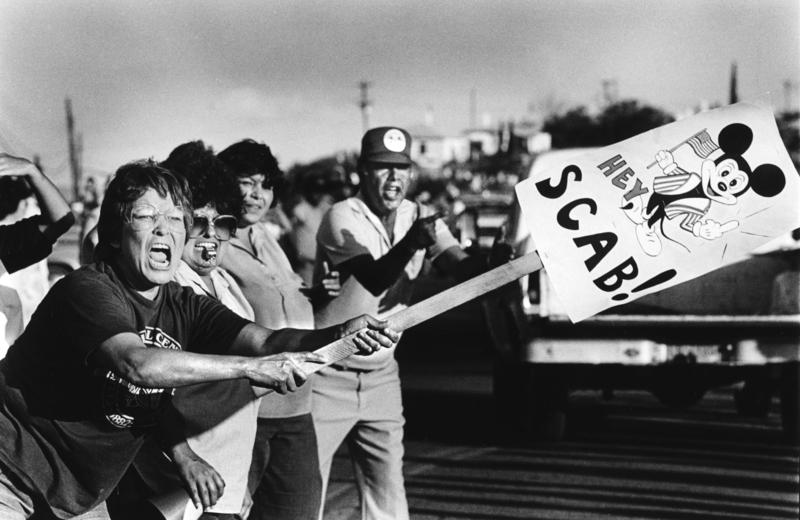 Employees at Phelps Dodge Corp’s Morenci mine were greeted by yelling strikers and their supporters on on Aug. 9, 1983. The company announced a 24-hour shutdown of the plant later in the day in a compromise with striking employees. Women on the picket line. Photo by Mari Schaefer, 1983. Courtesy of Ricky Wiley, Arizona Daily Star. To preempt the high cost of labor management conflicts, the major copper companies in Arizona and their labor unions historically relied on collective bargaining. Collective bargaining was a long-established practice in which every three years the big five Arizona copper mining companies negotiated with all of Arizona’s unions at the same time. As part of the collective bargaining practice, every three years since 1968 there had been short (six-to eight-week) strikes, which offered a measurement of economic stability. In fact, mining families often planned vacations around these work stoppages. However, a series of events would contribute to the demise of collective bargaining. The demand for copper significantly declined with the end of the Vietnam War. Mining had also become highly vulnerable to world market prices and competition.5 The World Bank increased its loans to copper-producing Third World nations whose lower production costs were possible with lower wages and lax environmental laws, and copper from these nations flooded the market. In 1980 the price of copper fell from a high of $1.27 per pound to $0.83 per pound. Phelps Dodge began to reduce some of its mining operations to cut operating costs. In April 1982, with the price of copper falling to $0.69 per pound, Phelps Dodge suspended all mining, milling, and smelting operations, and laid off most of its workers. In October 1982, more than half of the workforce was recalled and limited production resumed, while many waited to return to work. In 1980 President Ronald Reagan sought economic relief for the nation through neoliberal policies. The worldwide recession had brought some of the highest unemployment rates in the nation’s history, and a surplus of workers. Reagan’s policies centered on reducing governmental regulations as a cost-saving strategy for industries to stimulate hiring. In 1981 Reagan’s also took a hardline stance against the air-traffic controllers union, the Professional Air Traffic Controllers Organization (PATCO) resulting in its decertification. This signaled to U.S. industries that the climate was ripe for ridding themselves of costly regulations and worker protections negotiated by unions over the years. A major casualty of these economic and political shifts was the loss of good-paying blue-collar jobs, which had been made largely possible through years of hard-fought negotiations by unions. However, what remained imperceptible to the casual observer was that Phelps Dodge, with its extremely conservative views, had shown early signs of breaking from this collective bargaining pattern. 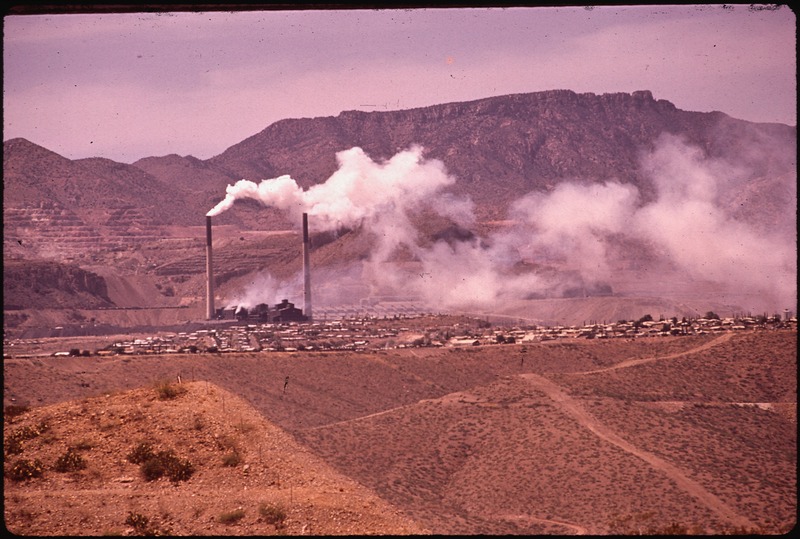 Phelps Dodge had been openly critical of the largest of the Arizona copper companies, Kennecott, for its more liberal stance in bargaining with the unions. During their negotiations in the spring of 1983, Kennecott took its usual lead in negotiating a contract with its workers. The other companies—Magma, Inspiration, and ASARCO—pressured to enter into similar agreements with their workers out of fear of losing money, fell in line. However, Phelps Dodge, emboldened by one of the “harshest cost-benefit calculus possible,” held out. Not only did it refuse to agree to the basic terms as the other companies, it asked for additional concessions from its unions and an end to all side agreements dating back to the 1950s. What followed was a strike by now-isolated thirteen union locals at the Morenci mine, and union workers in Ajo. Events climaxed on August 8, 1983, after Phelps Dodge reopened the mine with replacement scab labor, and thousands of strikers in Morenci blocked the gates to the mine.8 Reportedly to avert violence, Governor Babbitt traveled to Clifton and Morenci to force parties to the table to negotiate. A ten-day cooling-off period was agreed upon, during which time Phelps Dodge was to suspend operations. The workers were encouraged, and it was not until the morning of August 19 that they realized that they had been betrayed. The ten-day period had been used to organize the military intervention by way of 350 National Guard troops and 425 Arizona Department of Public Safety (DPS) troopers, who made their way up the hill in a convoy on that day. They set up camp outside the company gate while a team of 160 SWAT sharpshooters were also positioned in the hills outside the gates. Supporting this intervention was a restraining order signed by Judge John L. Claborne, which made it impossible for strikers to set up a picket line at the company gate. Six months later, union negotiators again sat across from company officials to offer concessions only to find that Phelps Dodge had increased its demands. By this time, it was clear that it was more than a patterned agreement process that the company wanted to end. The strike’s conclusion in 1986 bore this out: It marked the defeat of thirteen union locals made up of over 2,400 workers. Rosenblum documents that at the peak of the labor dispute, about 4,250 residents, about half of whom were of Mexican descent, inhabited the incorporated town of Clifton. Another 2,300 lived four miles north in Phelps Dodge-owned housing. 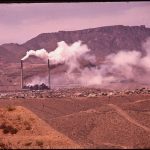 The end of the labor dispute also brought about the near collapse of the communities that surrounded the most profitable copper-producing company in the nation, with $110 million in profits in 1980, and the end of an era. 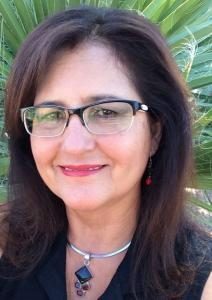 Anna Ochoa O’Leary is an Associate Professor, Head of Mexican American Studies, and Co-Director of the Binational Migration Institute at the University of Arizona. She received her Ph.D. in Cultural Anthropology from the University of Arizona. Her dissertation research, supported by a National Science Foundation dissertation improvement award, examined how Mexican-origin households invested in the education of its members, and women in particular. Dr. O’Leary’s current research focuses on immigration policy, the U.S.-Mexico border, gender issues, and the culture and urban politics of Mexican American and Mexican-origin populations in the United States. Forthcoming this fall, Mexican Workers and the Making of Arizona expands our understanding of the critical role played by Mexican and Mexican American laborers in making Arizona a prominent and influential state in the Southwest and beyond.